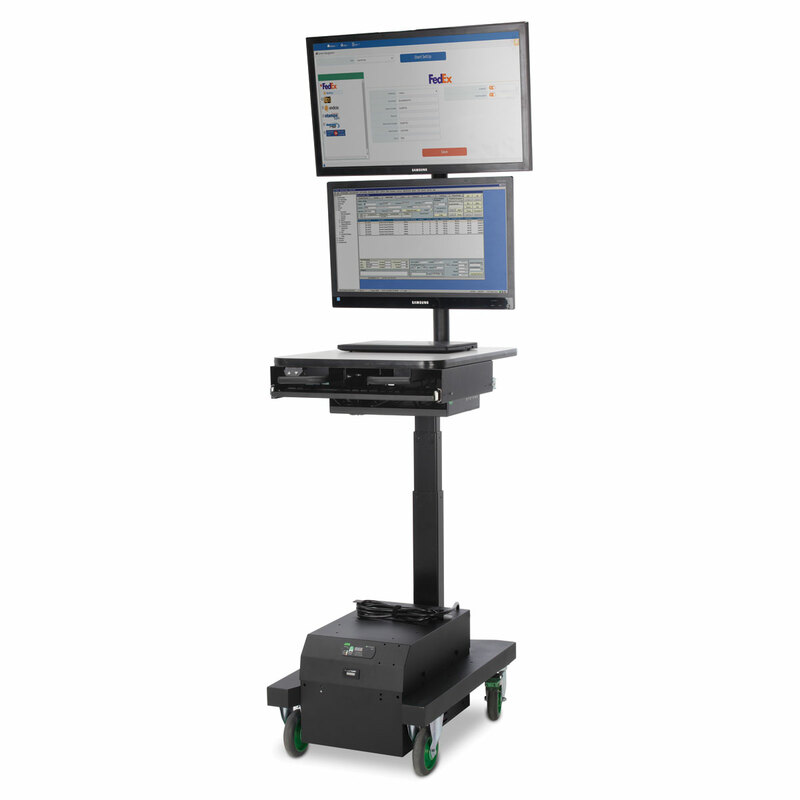 The new Apex Series Mobile Powered Workstations with our new height-adjustable ergonomic mast raises the bar for workplace mobility and safety. 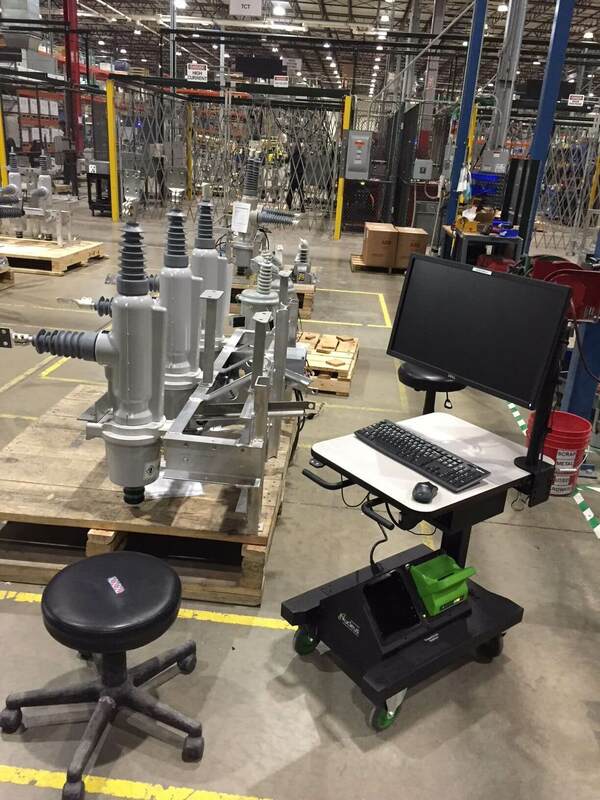 This flexible station serves a vast range of industries on the production floor and anywhere that worker comfort matters as much as improved efficiency. 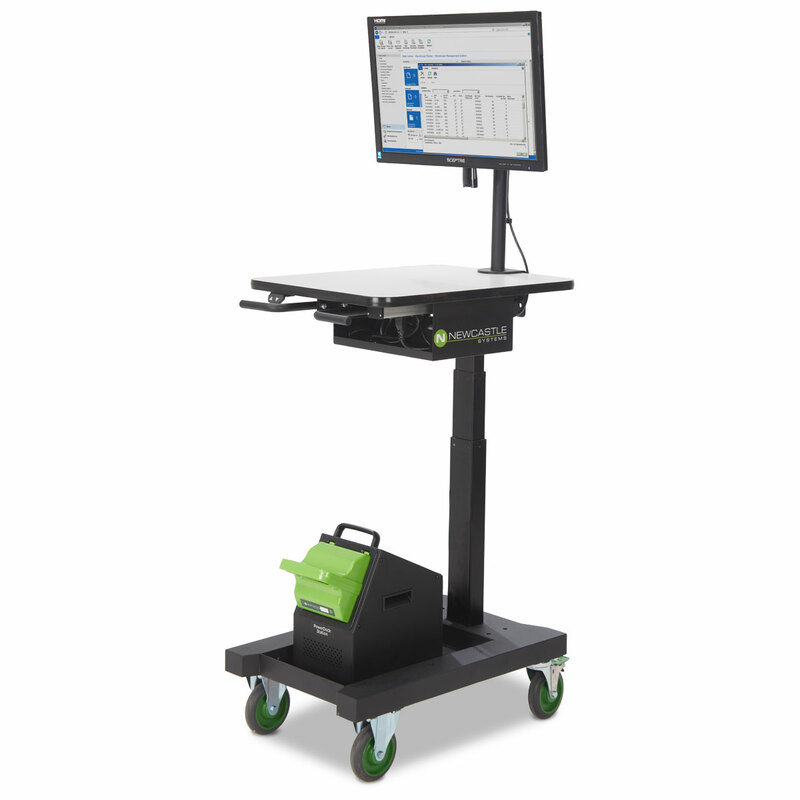 The Apex Series Cart raises productivity by providing mobile power to your devices including laptops, tablets, 1-2 LCDs or touchscreens, barcode printers, scanners and more for 8+ hours at a time. 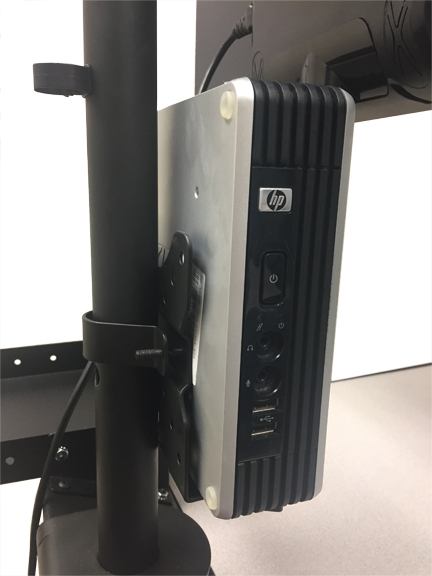 Improve Processes & Flexibility - The integrated power system allows you to fully leverage your wireless facility by cutting the power cords and letting your workstations move to where the work is taking place. 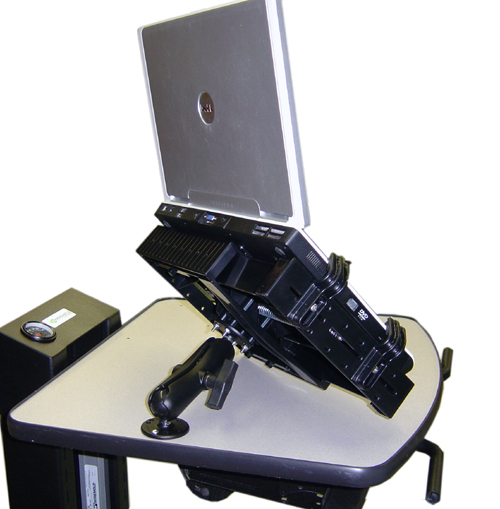 Maximize Resources - A mobile powered station means you can achieve the same amount of work with fewer pieces of equipment (computers, printers, scales, test equipment, etc.) 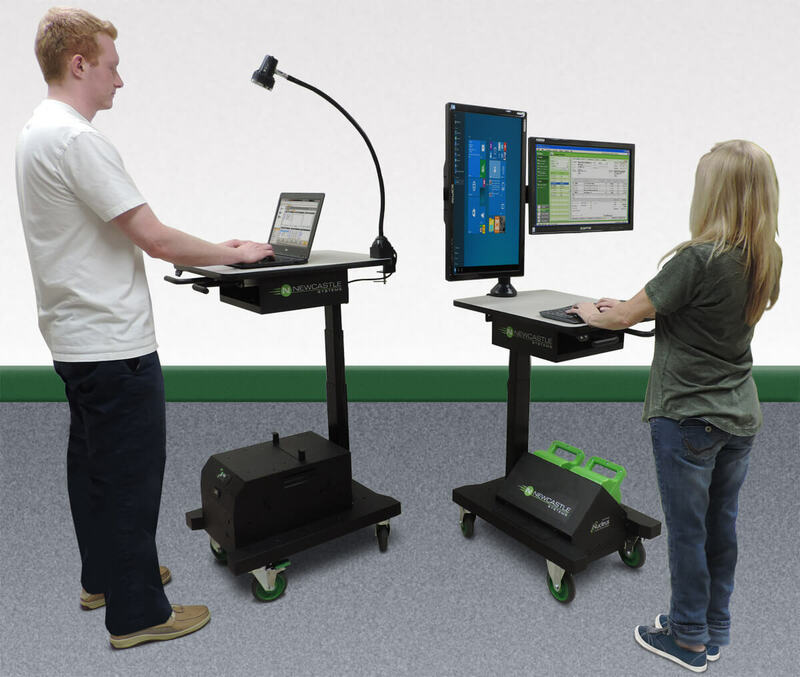 by eliminating static computer workstations at each cell. 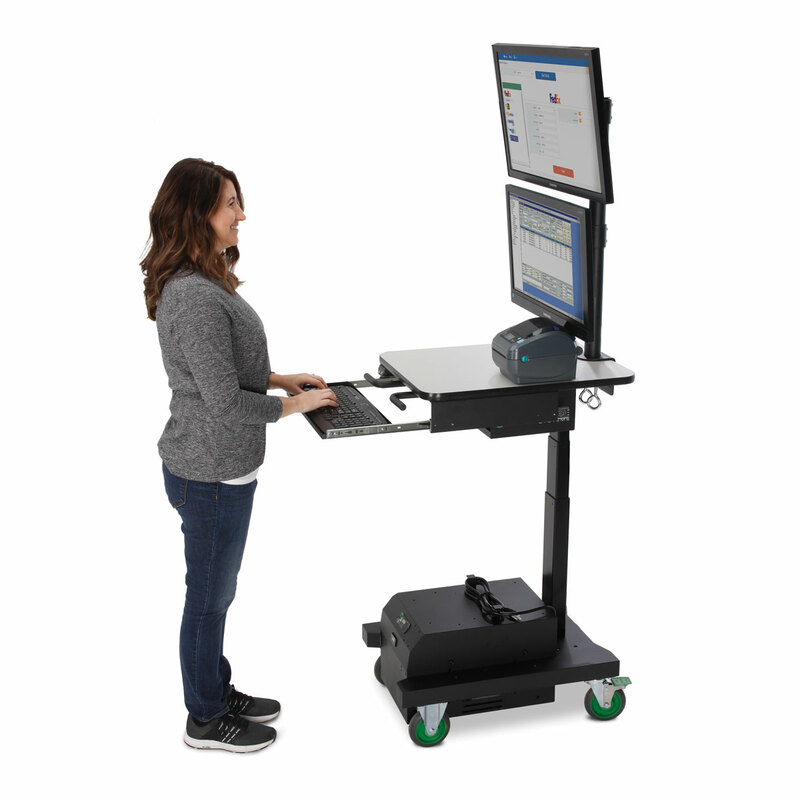 Enable People - Operators & managers now have full-screen access to ERP, MES, PLM, and other information systems while on the move. 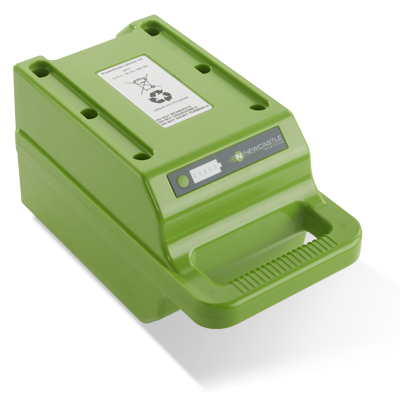 Eliminate the paper trail. 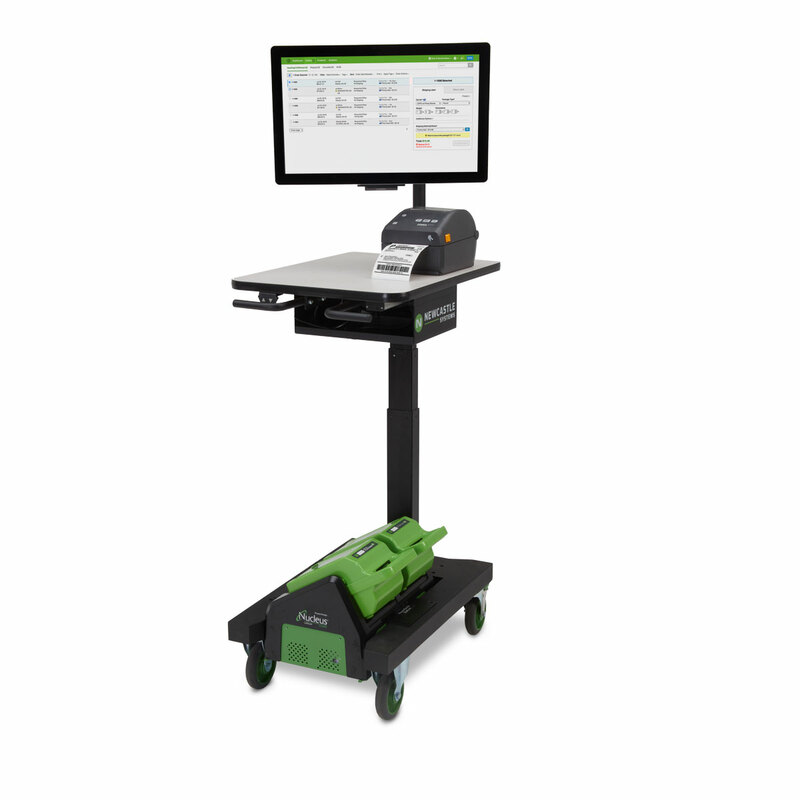 Instant ROI - Obtain measurable productivity gains without months of planning and implementation. 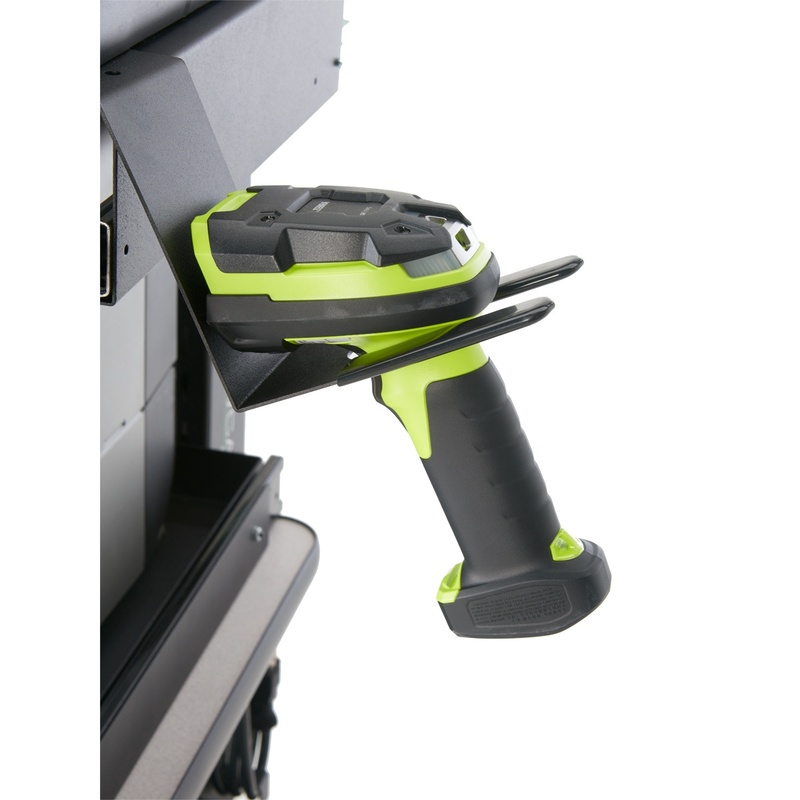 Eliminate the need for costly cable drops or dangerous extension cords. 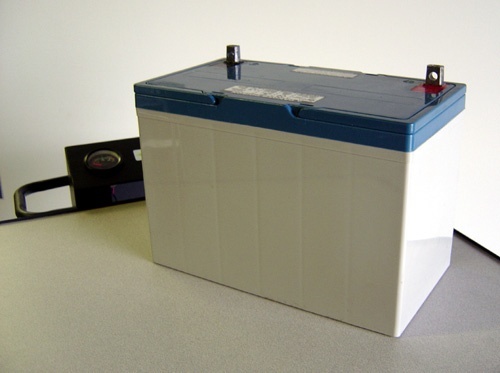 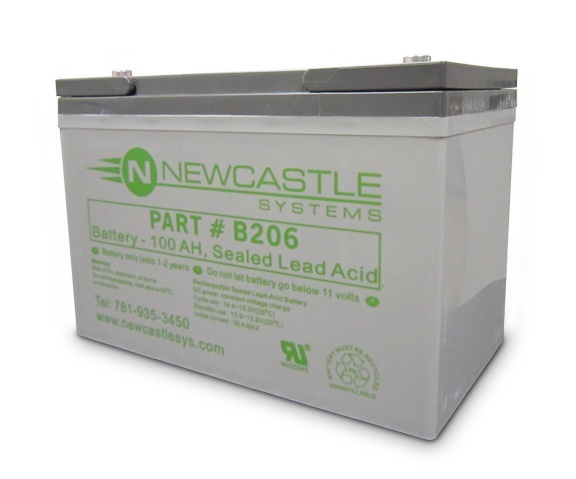 The model number represents the configured power system to handle your power requirements. 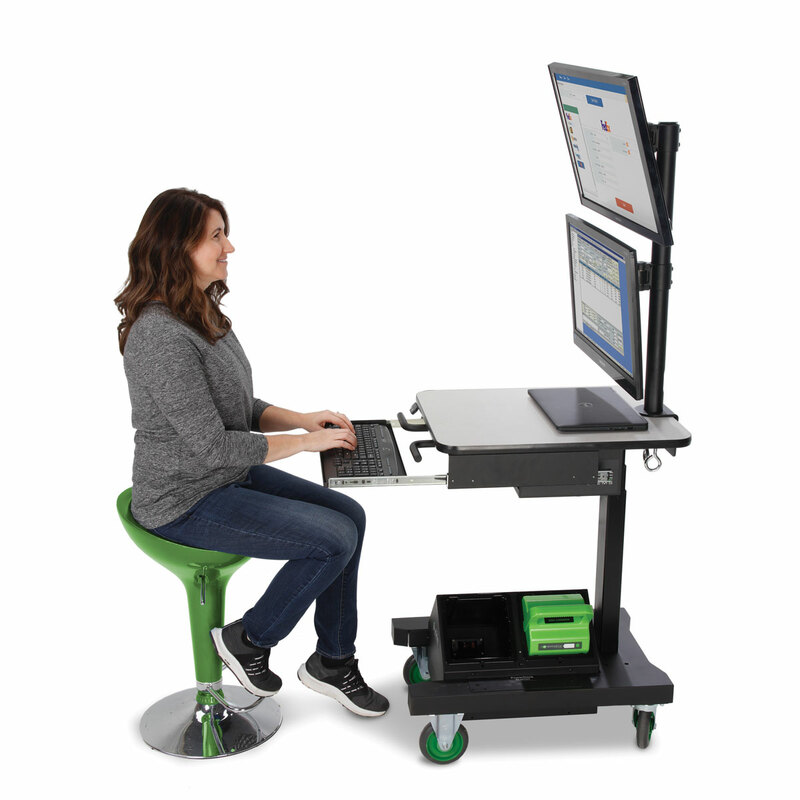 All Apex Series Ergonomic Mobile Powered Workstations listed below come standard with (one) adjustable height shelf, 5" locking casters, front push handles, integrated power system and power strip.